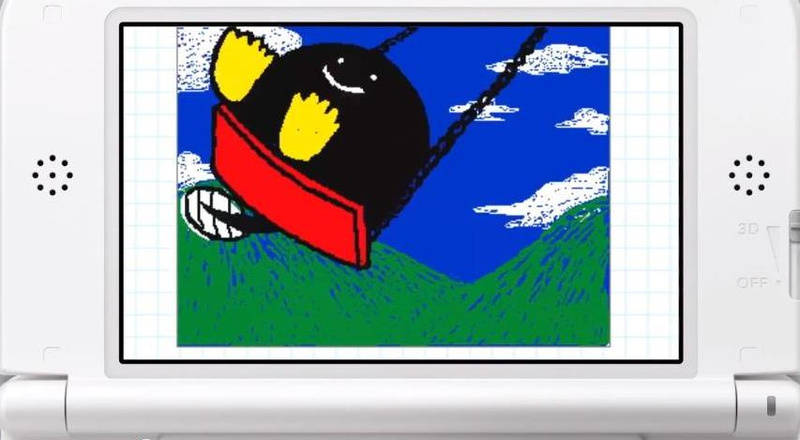 As announced earlier in this year, Flipnote Studio 3D is coming to the 3DS eShop as a free app this Summer, finally taking the place of the DSiWare title that's been non-transferable to the new hardware. As explained with that announcement, the new and free app will split the online sharing component of your creations into two parts — you can share with friends for free with Flipnote Gallery Friends, or pay a "small monthly fee" for worldwide sharing in Flipnote Gallery World; the latter option will have a free 30-day trial. There'll be community ratings and interaction, with highly rated artists even being in line for special rewards such as a free subscription to the World service. Another feature, for which Nintendo has today tweeted a reminder, is that owners of the DSiWare software will have all of their content transferred over to a special DSiWare library area in Flipnote Gallery: World, which we assume means that you'll only be able to access your older creations if you subscribe. Nintendo's going for an opt-out system, so unless you object before 31st May — which is when the DSiWare Hatena community shuts down — all of the data for your flipnotes will be transferred to the as-yet-undated new app. If you do want to opt-out of the transfer or just review your settings, you have just over a week to login to the official Hatena transfer website. The new version doesn't yet have a confirmed release date, but we imagine it won't be too far behind the closure of the DSiWare community. Let us know how you feel about the transfer to the subscription-based service in the comments below. I didn't have Flipnote and never saw the Hatena gallery so I'm probably not going to pay a subscription for the new gallery. i just want the 3ds fun! I just hope that they drop that subscription plan. I'm not going pay for fee.. I think I'll pass. I think I'll go with a new profile on there, if I join at all. I can see some cool applications of the 3D, but not sure if it's enough to be worth my time. Miss this app so much. Cant wait for the 3dswii vers. I once used flipnote to animate the lifecycle of ecoli for a microbiology project. It got me an A! I been using Flipnote Hantena since 2009 and if they charge to use something that I've used for used years that pretty ridiculous. i just hope they drop that subscription plan. i'm no good at art, but it's fun sharing it with everybody. but i'm not going to pay a monthly fee so people can laugh at me. Paying a fee to share our own creation with the ppl? Heck no i don't need that. I stick with the original Flipnote instead.